Two types of doors are typically found in U.S.: traditional French doors and newer sliding glass doors. Both doors offer different characteristics and benefits to your home. But, today, we will be exploring sliding doors and their potential to give your home greater energy efficiency. At Renewal by Andersen® of Western New York, we have finally created a solution to the energy efficiency problems of older sliding doors. Replacing your old patio doors with newer ones from us can add more beauty, value and energy efficiency to your home. Our sliding patio doors allow a considerable amount of natural light into home interiors, especially during the cold months. This will not just warm up your home, but it will also lower your monthly energy bills because you won’t have to rely as much on your HVAC system or artificial lighting. Part of the reason why our sliding doors are energy-efficient can be attributed to their sealing. The doors overlap each other, thus creating a tight seal that won’t allow air to penetrate or escape. It is also important for a sliding door to help block harmful ultraviolet (UV) rays from entering your home. Double-glazed inserts can also be installed on existing sliding doors. 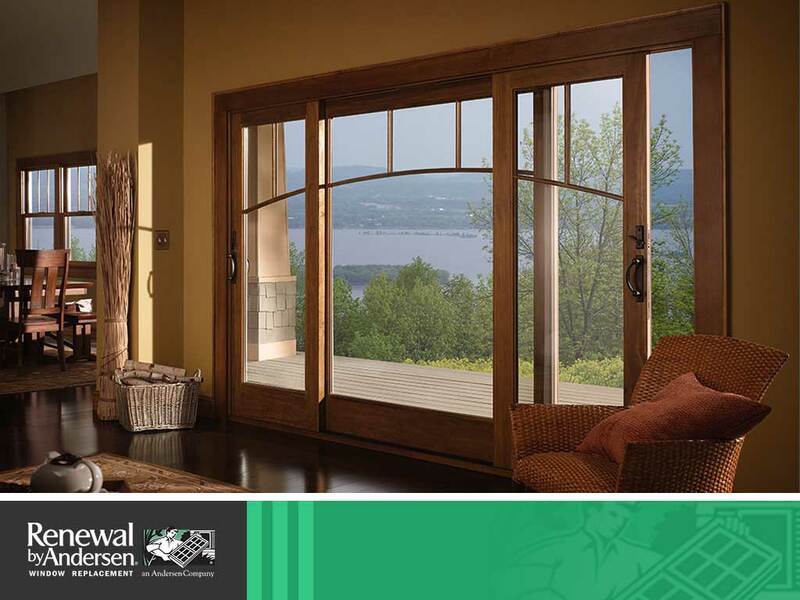 Renewal by Andersen of Western NY is your trusted source for quality sliding glass doors and windows. Call us at (585) 481-8006 or (716) 235-2200, or fill out our contact form for a free estimate. We serve clients in Pittsford and Rochester, NY, as well as nearby areas. We look forward to working with you and bringing out the very best in your home. Verify: 11 + 1 = ?